While watching this, I also realized that my own experience with Northern Rhône is definitely limited if not non-existent (supermarket Crozes-Hermitage doesn’t do the appelation right I guess). And since passion can be contagious: right after the show, inspired by the praising of matured Syrah, I screened the web for interesting bottles. After some research I came accross the wines of Domaine Auguste Clape, commonly recognized as one of the best producers of Cornas. 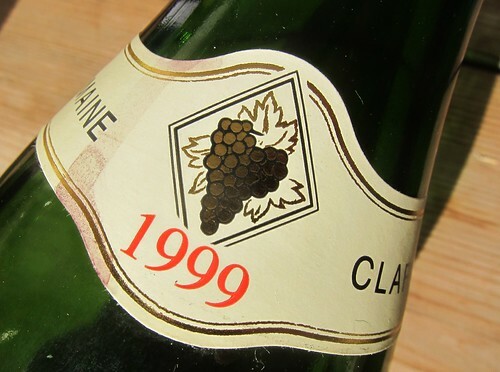 And since I wanted to follow Madrigale‘s suggestion of tasting matured wine, I opted for a bottle of 1999, a highly rated vintage (95 points in Parker’s vintage chart) that also offers a solid 12 yars maturation. Could there be any better circumstance to plunge head first into the Northern Rhône? Now I only had to wait for the right occasion to pop the cork. 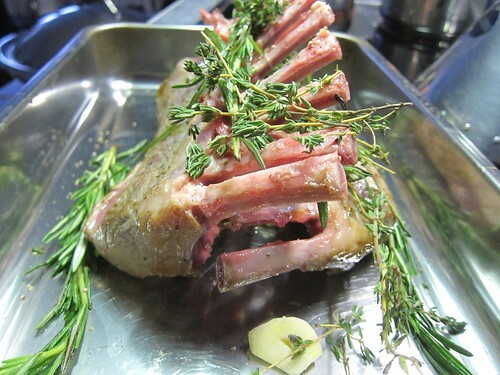 But it came soon enough with a beautiful rack of lamb scheduled for a dinner with friends. Reflexively I holstered out this bottle in the morning and checked its condition. Right after pulling the cork, it already showed a beautiful berry nose, mixed with a touch of rose. A tiny sip reveals a firm tannic grip on the palate. I decided to let the bottle audouze until the evening (meaning not decanting it, but just leaving it in the bottle without the cork). On the palate everything seems in place now with beautiful weight, balance and structure. The weight is of such grace that I wonder if I could ever drink Syrah of any other origin again. Tannins are still there, but well polished and accompanied by a truly compelling freshness on the mid to back-palate. Berry fruit is noticeable, but a bit more shy than in the nose. Earth and leather notes are more clear instead. Sometimes, tannins feel a bit like drying out, but it doesn’t really reduce the pleasure also because presence and length are just too convincing. Such that the glass finds it way to the mouth with regular pace. 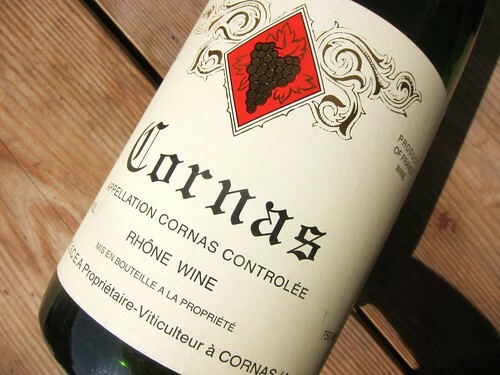 Yes, there is something gouelyant or quaffable with this wine, but what impresses me most is its elegance and finesse. I wonder who wants big, fat Shiraz from any other place when you can get Syrah that tastes like this. Of course, this greatness came at a not so small price (around 60 Euro) but I also think it was worth it. Sometimes you just want to discover a region top-down, which also permits to find a certain benchmark. I can say that I have found mine and can now start exploring the Northern Rhône more closely and maybe try to find some bargains. What a nice headstart! 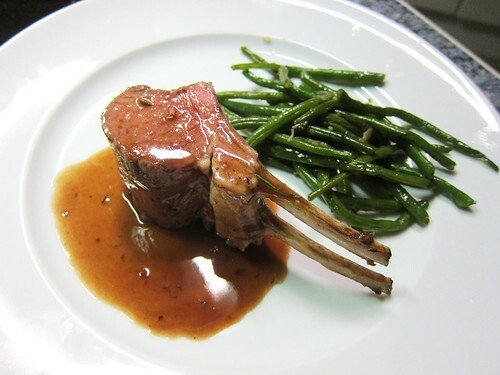 … and on the plate!